Anne Douglas’s practice-led research is concerned with experimentation in the visual arts and its changing, developing role in research and in culture and society. Improvisation is a key concept within this research, both in the sense of an openness to experience as it unfolds and as a particular approach to art. 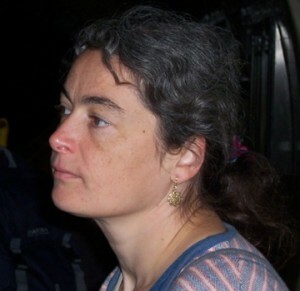 She leads the On the Edge research programme, Grays School of Art, Aberdeen (2001- present). Douglas is a Research Associate of the Orpheus Research Centre in Music, Ghent and is a co-investigator on the AHRC project ‘Time of Encounter, Time of the clock’ (2011-2013). Kathleen Coessens is a philosopher and artist, exploring the crossings of science and art, human creativity and cultural representations, embodiment and epistemology. She graduated in piano and chamber music in Paris and Brussels, and in philosophy, sociology and psychology. She works as a professor/researcher at the Vrije Universiteit Brussel in the Centre for Logic and Philosophy of Science, at the Orpheus Research Centre in Music (ORCiM), Ghent, and at the Conservatory, Antwerp, teaching semiotics and sociology of artistic practice. She publishes philosophical and artistic research work and collaborates in artistic projects (with Champ d’Action, Antwerp; Grays School of art, Aberdeen — AHRC project ‘Time of encounter, time of the clock’; ORCiM, Ghent) merging visual and performance arts and exploring the boundaries between the cultural and the ecological, between arts and life. Juan Parra Cancino studied composition at the Catholic University of Chile and Sonology at the Royal Conservatoire of The Hague (NL), where he obtained his Masters degree with focus on composition and performance. As a guitar player he has participated in several courses of Guitar Craft, a school founded by Robert Fripp, becoming part of various related guitar ensembles such as the Berlin Guitar Ensemble, the Buenos Aires Guitar Ensemble and until 2003, the League of Crafty Guitarists. 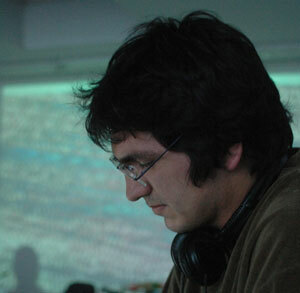 Parra Cancino is a regular collaborator of artists like Frances Marie Uitti, Richard Craig, KLANG and Insomnio Ensembles. He is founder and an active member of The Electronic Hammer, a computer and percussion trio and Wiregriot (voice and electronics). His compositions that include pure electronic and electro-acoustic mixed media with solo instruments and ensembles have been performed in Europe, Japan, North and South America. 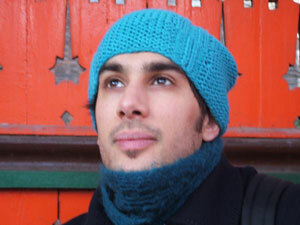 Parra Cancino is currently a PhD candidate at the Leiden University of the Netherlands and the Orpheus Institute “Towards a performance practice of Computer Music”. He is also a researcher with the Orpheus Research Centre in Music. Nicolas Chkifi plays the drums. 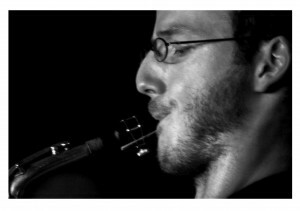 He had the opportunity to study with great musicians such as Herman Pardon, Kris Duerincks, Lieven Venken, Stéphane Galland. I participated to the masterclass of Billy Hart, Nic Thys, David Liebman, Mark Turner, Skulli Sverisson, Peter Herbert, and Tyshawn Sorey. 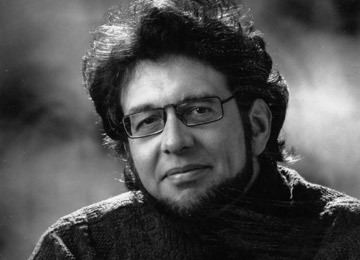 In June 2009 he got his masters degree from the Lemmensinstituut with the master drummer Dré Pallemaerts. David Crossen is a designer/artist whose current research interests lie in exploring distributed interactive sound compositions on mobile devices influenced by data and encounter. Originally trained in Computing he went on to obtain a Master of Science degree in Operational Research, subsequently lecturing in Computer Science. His growing interest in multimedia computing led him into design and since 2000 he has been lecturing at Grays School of Art in Digital Media and Communication Design. He has always been deeply interested in music, being a keen singer as a child and learning to play Tenor Horn and French Horn. Eventually at sixteen he dropped these brass instruments for the attractions of singing and playing guitar in rock bands. 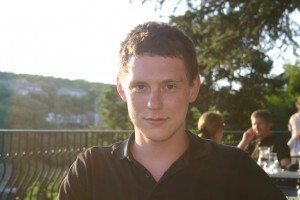 He is also fascinated by contemporary, experimental, electronic and jazz music, with a particular interest in computer-generated music. “In 2009 I started working on a semantic data visualisation project called SATCIC. SATCIC started with the creation of a “font machine” that generated typography based on textual input. Early prototypes of the system were mainly based on randomness in which a number of yes-no questions roughly determined the shape of a letter. Since then, the system has evolved to a rule-based algorithm that creates compositions based on the content of textual input. After my studies in graphic design, I started a Master of Research in Art and Design at Sint Lucas Antwerp, because my work had evolved from a commercial application to an ambitious artistic endeavour in which I’m trying to manually create a (digital) semantic network that creates content relevant artwork out of textual input. 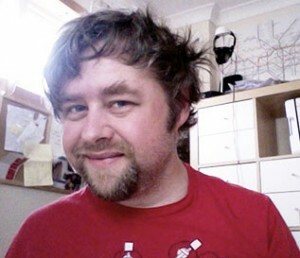 Chris Dooks is an interdisciplinary artist and PhD doctoral researcher based in Ayr, Scotland. He is also a composer of electronic music and sound art with releases on several labels and aliases. In the late 1990s he was a TV director for arts television programmes including The South Bank Show. 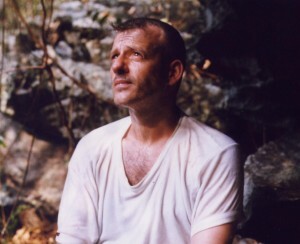 However, in 1998 he became ill while on location in California working for PBS. He fell apart, his TV career ended and so began an intense learning curve in coping with chronic ill health and, initially, a return to his training as a photographer. Over the following decade, he developed a successful art practice sympathetic to his new life which has been the foundation for academic enquiry since 2010. His forthcoming PhD deals with creative strategies regarding the illness Myalgic Encephalomyelitis or M.E, asking how such an art practice may serve to offset or augment the relationship between the cultural practitioner and the illness. He is married to an author and they have an effervescent baby boy. 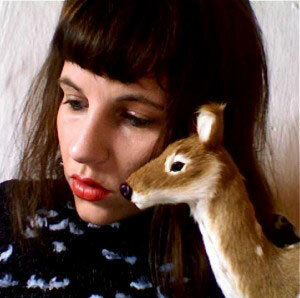 Ann Eysermans [Belgium, 1980] is a performer, improviser [double bass and harp] and composer. She obtained her Master’s degree ‘Musical Notation and Composition’ and ‘Double Bass, Jazz’ at the Royal Conservatory of Brussels. She is both connected to Champ d’Action as well as working on her own auditory and visual projects. Concerts with BAMBEEN GREY and with Champ d’Action explore sound-layers of music and noise, graphics and musical notation. She is currently working on a PhD in the Arts ‘Enlightened Sound Moving: towards a media-independent inter-medial method for musical composition’ in which she explores possible artistic and aesthetic interactions between trains, phosphorescence and music. Inne obtained her Master’s degree ‘Musicproduction’ (2006-2012) at the Royal Conservatory in Ghent. Formed the band Amatorski. Composed music for animation, music theatre and short film. Currently working on a film project. Iris Eysermans was born at Antwerp (BE), in 1982. In 2008 she obtained her Master’s degree at the “Music Departement of Antwerp University” where she studied organ under Joris Verdin. She also graduated as “Master of music” at the “University for the arts” in Rotterdam (NL). Her professor was Bas de Vroome. She took part in several masterclasses organized by Theo Jellema (NL), Willem Tanke (NL), Louis Thiry (Fr), Ben van Oosten (NL), Liuwe Tamminga (IT)… During the season 2008-2009, Iris received a scholarship as organist in the chuch of the Finisterrae at Brussels (BE). She teaches the organ and piano to students in Heist-op-den-Berg (BE) and at the “Kunstfabriek” in Duffel (BE). Iris has played several concerts in Belgium and abroad, as a soloist, with a chamber ensemble and with an orchestra. She prefers to work as a soloist and freelance organist. Her repertoire encompasses many style periods, from the Middle Ages, the Baroque and Romantic periods, to the 20th century and contemporary music. Besides playing the repertoire, Iris likes to experiment with different musical instruments, including her voice, piano, synthesizer, harmonium and electronic organs. Improvisation plays an important role in her musical performance. The organ duo “64 Feet” started in 2009, following some years of collaboration with organist Marie-Noëlle Bette. “64-Feet” is connected to “Champ d’action”, an ensemble with production facility and studio for contemporary music. “64-Feet” presents a surprising program, bringing together old and new music, and embracing new technologies, live-electronics, synthesizers and electronic organs. 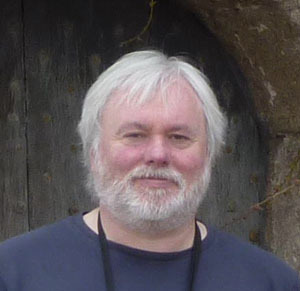 Mark Hope is Chair of the Board, Woodend Barn, Banchory. He has Masters degrees in engineering (Imperial College, 1976) and management (London Business School, 1991). He was General Manager and UK Director of Enterprise Oil plc (1992–99) and a director of Shell UK (1999–2002). 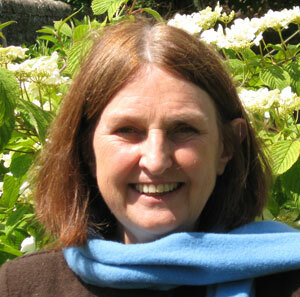 During 2001–3 was a member of the Scottish Executive’s Cabinet Sub-Committee on Sustainable Development. From 2003–7, in collaboration with Jonathon Porritt and Forum for the Future, he helped develop and deliver Sustainability Masterclasses as part of Shell’s leadership training. Mark moved to a part-time advisory post with Shell in 2002 to allow time for his work at Woodend Arts and, from 2004, the sound festival. Since 2007, he has worked almost full-time as a volunteer with only non-executive roles in industry. Mark helped found Woodend Arts Association in 1994 and has been Chairman and acting CEO since 1999. Mark has been involved in the arts since childhood studies in cello and singing and he helped found The Speedwell Trust, a small music therapy charity, in 1985. He believes that creativity is essential for human happiness, so engagement with the arts should be available to everyone throughout their lives. Mark is a director of sound festival which he helped found in 2004, and non-executive director of Fairfield Energy Limited. Mark Hope is a core partner within the Time of the Clock, Time of Encounter Research. Audrey Lauro was first initiated into jazz and then contemporary music followed by Musical Composition studies and a Slavic Philology Master. Over ten years on the experimental Belgian music scene Audrey established herself as an alto sax player. 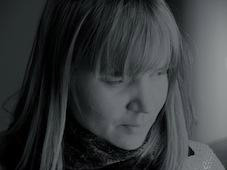 After her first CD in 2008 on the Brussels label, ‘b.y._records’ called Mrs Okido and featuring Pierre Vervloesem, she decided to focus most of her time on free improvised music. Audrey has performed with Marc Ribot in 2003 in The Mystery Trio in Luz St Sauveur(F) and Tonic NYC. 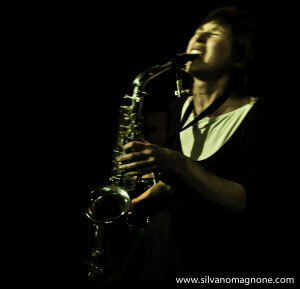 She has also performed with Veryan Weston in 2008, with Peter Evans in 2009, with Carlos Zingaro in 2010, with Javier Carmona, Sabu Toyozume and Daysuke Takaoka in 2010, with Joel Grip, Peter Jacquemyn in 2011. In 2012 she curated the festival, Wolves’ Stories, dedicated to the female improvisation scene. She was invited to join the ‘Wolves’, Maggie Nicols, Mia Zabelka and other female musicians, to create a portrayal of women through music, text, films and experiment. Norman Shaw was born in 1970 in the Highlands of Scotland. He is an artist whose work spans audio, visual and text-based media. He has degrees in art practice and in history of art, with a practice-based PhD from the University of Dundee. He currently lectures at Duncan of Jordanstone College of Art and Design, University of Dundee, having previously taught at the University of Edinburgh and Edinburgh College of Art. His research has expanded from a core interest in landscape and northern post-romanticism to hauntology, sonorous topography and the limits of perception, among other things. 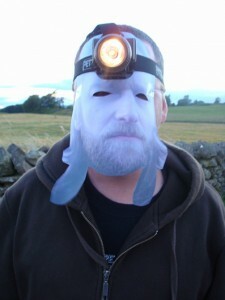 He was a core member of the Window to the West research team, exploring visual aspects of Gaelic culture, culminating in his book ‘Nemeton’ (2010), which is an exploration of relationships between place, consciousness, and epistemologies, through a collaborative tour of selected sites around the Highlands of Scotland, resulting in interrogation of marginal and esoteric aspects of the contemporary Highland landscape. Drawing forms the core of his visual practice, expanding into painting and printmaking, video, installation, performance, and curation. Exhibitions include ‘Window to the West’ (City Art Centre, Edinburgh, 2010), ‘Prints of Darkness’ (Edinburgh Printmakers, 2010 (touring)), ‘Heavy Metal Mouth (Torpichen St Gallery, Edinburgh, 2009), ‘Highland’ (Royal Scottish Academy, 2007), ‘The Great Book of Gaelic’ (An Lanntair, Stornoway, 2002 (touring)), ‘Calanais’ (An Lanntair, 1996 (touring)). He recently co-curated ‘Cheer Up! It’s not the end of the world…’ at Edinburgh Printmakers in August 2012. His sound-based work spans recording, production, performance and DJing. He has been an active member of the Scottish experimental music scene for over a decade, moving from early digital hauntophonic music towards more recent black-metal influenced explorations. As nimrod33 he has released music on mrw44 and Benbecula Records (Scotland), and Hidden Records (Netherlands), and he has appeared on numerous Radio 1 specials. He has collaborated on regular performances and releases with Giant Tank, Usurper, and recently with Dylan Nyoukis (Blood Stereo/Chocolate Monk). He is also a member of the rock and droll noise band Nob, with Dave Paton (aka the weedjs). As an experimental DJ he has performed internationally, and as a club/dance DJ he was resident DJ at Edinburgh underground techno/electro club UTI for 6 years. He DJs regularly at a broad range of club venues, galleries, and events. He co-curated the ‘Prints of Darkness’ project commissioned by Edinburgh Printmakers, an exploration of the impact of record cover art on visual artists, which included a commissioned LP by People Like Us (aka Vicki Bennett). His PhD research investigated the sonorous aspects of Highland landscape and myth across text, drawing and sound. Drawing on his background as a Highland son of the manse, he also produced a series of remixed Gaelic psalms for the Window to the West research project, presented at the exhibition ‘The Rediscovery of Highland Art’ at the City Art Centre, Edinburgh in 2010/11, and at the ‘Highland’ exhibition, Royal Scottish Academy, Edinburgh, in 2007/2008. His writing involves published books and journal essays, poetry, and commentary. Urquhart is an Edinburgh-based artist whose work, encompassing a wide range of media, first began to make an impact in the early 1990s. He has held solo exhibitions at the Model Gallery and the Butler Gallery in Ireland; Solvberget in the Kulturhuis in Stavanger, Norway; The Orchard Gallery in Derry; Lionheart Gallery in Boston, USA; as well as Inverleith House, the Talbot Rice Gallery and The City Art Centre in Edinburgh. He was included in the survey exhibition Here+ Now, Scottish Art 1990 – 2000, organised by Dundee Contemporary Arts. In 2007, Urquhart installed Recurring Line : North/South – a permanent artwork within the grounds of the Irish Museum of Modern Art in Dublin. Whilst grounded in the discipline of drawing, his practice has diversified in recent years, with work taking form in both landscape and architectural contexts. Much of Urquhart’s recent work has taken the form of permanent site-specific installations in which he has responded to a wide variety of landscapes. These commissioned works include the collaborative built artwork, AN TURAS, on the Isle of Tiree which was awarded the RIAS, Best Building in Scotland Award and the Royal Scottish Academy, Architecture Gold Medal in 2003; SEA BEAMS, as part of the Dysart Artworks in Fife, was awarded the Public Realm/landscaping Scottish Design Award in 2006. The contemplative and poetic nature of his work has led to numerous art and healthcare projects, including the development of artworks for the new Stobhill and Gartnavel Royal Hospitals, both in Glasgow, and he has just completed all the artworks for the new Midpark Royal Hospital in Dumfries. In 2005, Urquhart completed The Sanctuary, Scotland’s first new specifically designed non-denominational space for the New Royal Infirmary of Edinburgh. This was awarded the Scottish Design Awards, Best Building for Public Use that year. He is a Reader in the School of Landscape Architecture at Edinburgh University where he teaches on and co-ordinates the Art, Space and Nature, Masters Programme. In 2008, Urquhart was awarded membership of the Royal Scottish Academy. Jan van Landeghem started his music study at the Academy of Sint-Niklaas Belgium. As a child he started at an early age to play the recorder, the flute, the organ and the piano. He works as composer (and wrote more than 100 works), an organist, a piano player, and as a choir and orchestra conductor. Together with his wife, the violinist Jenny Spanoghe, he plays the organ, the harpsichord and the piano. He is Professor of Composition at the Royal Flemish Conservatory of Brussels and Director of the Academy of Music of Bornem (Antwerp). He was chosen as a member of the the Board of Sabam (Autors Rights) in Brussels. He won numerous composition prizes in Europe and abroad.